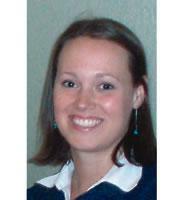 Sara Harris has more than 10 years' experience working directly with child care centers. She has served as an art studio teacher, creative director, administrator, project coordinator, and design consultant. As her knowledge of child-related environments has grown, so has her ability to design creative and inspiring spaces. She has a bachelor’s degree from Bowling Green State University and a masters degree from the University of Kentucky. She lives in Maumee, Ohio. Q: Your book, Inspiring Spaces for Young Children, is about how to create classroom environments that support and inspire learning. Why is the classroom environment such an integral part of the learning process for young children? Q: What aspects of a classroom should teachers evaluate to ensure that they have created an inspiring environment? De-clutter the Environment. A chaotic and cluttered environment is not inspirational and will negatively affect the learning process so it is important to eliminate anything that is not needed. Organize the Environment. Ensure that counters, cabinets, and shelves are clear and organized. Materials and supplies should be displayed in ways that enhances the classroom’s beauty, such as natural baskets organized on shelves within the children’s reach. Use Neutral Colors. Bright, chaotic primary colors assault children’s senses and may stimulate negative behavior. On the other hand, neutral tones with a splash of color are more conducive to a calmer environment and children’s sustained focus. Create Focal Points. Focal points are important for organizing the visual cues and giving a sense of purpose to objects in the space. Focal points can magnetize children into the room and create interest in the objects in the space. Infuse Natural Elements. Natural items should be used throughout the classroom to encourage exploration and offer children a connection with the natural world. Nature offers a wonderful and cost-effective source of inspiration that stimulate creativity, discovery, and learning. Honor Children’s Work. Children’s work should be displayed in a way that gives honor and respect to the work, such as framing the children’s paintings or drawings and displaying them on a gallery way. Remember that ‘less is more’, so display only a few masterpieces at a time to give them honor and importance. All displays should be evaluated frequently and children’s work should be changed often to keep alive the element of surprise and interest. In addition, textures, furnishings, and elements such as lighting can give the classroom a comfortable feel while stimulating interaction and investigation. Q: What are some easy things teachers can do to create inspiring environments for young children? The best place to look for easy and inspiring items is nature. Ensure that the science or exploration area is full of interesting items from the outdoors such as buckeyes, seeds and pods, leaves of all colors and designs, flowers, grasses, herbs, rocks, shells, wood pieces, and pinecones. Keep these natural items fresh and changing. But do not confine these natural items to the science table. Use these items at the art area to make collages, for painting, rubbings, or stencils and molds. Instead of painting with a paintbrush, try using a stalk of wheat. Rather than tracing a starfish from a plastic stencil, use a real starfish as a stencil. Instead of rolling clay with a rolling pin, use a field-corn cob. These changes are easy, inexpensive, and incredibly inspiring to young children! And do not forget that all ideas do not come from exclusively from the teacher----ask the children for their ideas! Click here to learn about Visitation & Training Days with the writers of Inspiring Spaces! To request information about this author´s presentations, please contact britroberts@kaplanco.com.